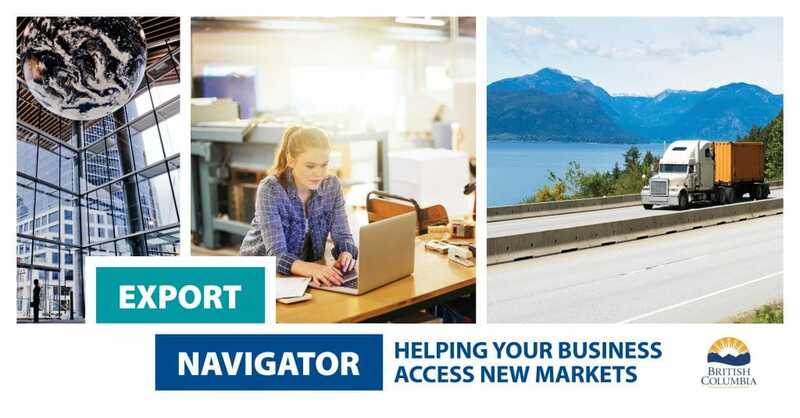 The Export Navigator Program offers businesses access to community-based export specialists who can provide a personalized, step-by-step approach to exporting and help connect your business to the market information, export programs, financial services, and business development experts it needs at every stage of the process. Expanding to new markets increases the size of your target market, may broaden your product offering and offset seasonal fluctuations in sales. Increased production generally leads to economies of scale and decreased cost per unit, which increases your profit margins. Expanding to new markets fosters innovation in your goods and services, which enhances your competitiveness. In 2016, Canadians shopped online to the tune of $18.3 billion. By 2021, that figure is expected to reach almost $29 billion. As a small business owner, entering this growing market will enable you to sell your products online to a broader and more diverse audience. This seminar will help you learn the basics and begin preparing to sell online, both legally and profitably. In 2016, U.S. companies purchased 72.6% of Canada’s total exports, valued at $453.7 billion. B.C.’s small businesses must consider heading south when exporting their products outside of Canada. This seminar will help you learn the basics of selling your goods to US importers, wholesalers and distributors and you will hear directly from a Customs Broker sharing insights on how to do it right. Signup to learn the next steps to get your products into Canada’s largest trading partner. A business that can scale up operations, is willing to adapt its goods or services and is able to self-fund or obtain financing for a sustained expansion strategy. Does your company have international business experience? Is your company’s management willing to dedicate time and money to develop a new market for a sustained period of time? Is your company willing to conduct market research? Does your company have excess production capacity or the ability to scale operations? Is your company able to secure financing to adapt, ship, and market your product in your target market? Sign up for Export Navigator updates and be the first to know when our free seminars are available. We gratefully acknowledge the financial support of the Province of British Columbia through the Ministry of Jobs, Trade and Technology, and the Government of Canada through Western Economic Diversification Canada.